Ecommerce company Flipkart is reportedly looking to forge a strategic partnership with online ticketing platform, BookMyShow. The move, according to sources, is aimed at developing an integrated services vertical by bolstering Flipkart’s entertainment and payment offerings against rivals Amazon and Paytm. If the deal goes through, the ecommerce giant could likely acquire minority stake in BookMyShow, sources close to the development revealed. Post the deal, BookMyShow’s valuation is expected to reach $500 Mn-$700 Mn. At present, the largest shareholder in Bigtree Entertainment-owned BookMyShow is Reliance Industries-run Network18, which has a 39% stake in the ticketing platform.Email queries sent to Flipkart and BookMyShow, however, did not elicit any response till the time of publication. BookMyShow was founded in Mumbai in 1999 and launched in 2007. According to an official statement, BookMyShow is now present in over 650 towns and cities across India. In one of the largest fundraises of 2016, BookMyShow raked in $80 Mn from US-based Stripes Group with participation from existing investors such as Network18, Accel Partners, and SAIF Partners. nFusion marked BookMyShow’s fourth acquisition this year, making for an extremely aggressive strategy that is far removed from its core basics of just booking tickets and movies. In September, WhatsApp announced the launch of WhatsApp for Business in collaboration with BookMyShow. 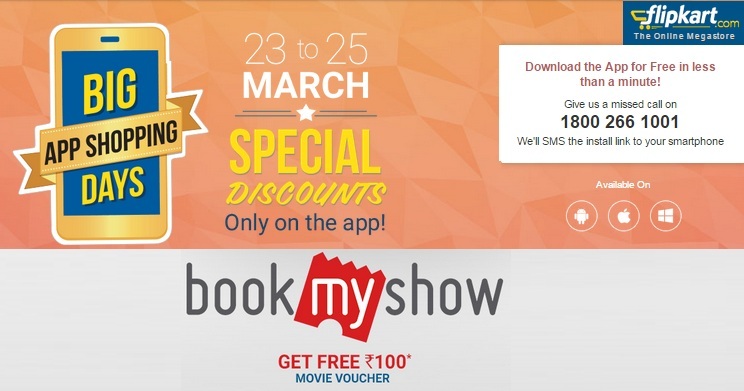 As part of the new programme, users who book tickets on BookMyShow will now receive a message on WhatsApp with the confirmation text or an M-ticket (mobile ticket) QR Code, along with an email. BookMyShow is the undisputed market leader in both movies and events category with almost a 70% market share, as per industry estimates. By joining hands with Mumbai-headquartered company, Flipkart looks to enter the country’s fast-growing online ticketing market. The alliance will also enable the ecommerce company to reach a wider customer base for its payments platform, PhonePe.